In the excitement of designing a kitchen remodel, homeowners sometimes forget that the kitchen is actually a work space. In their efforts to create a showroom-worthy design, they prioritize looks (form) over usefulness (function). In fact, home design should always begin with functional considerations before looks are brought to the table. While this may not seem as fun, we assure you the timeless benefits will be well-worth the priority switch. In a recent survey conducted by Sub-Zero and Wolf, 75% of design professionals said they complete projects more for function over form. 75% of design professionals said they complete projects more for function over form. Perhaps this is because today's homeowner demands more from their kitchen than they ever have in the past. Analyzing how you use your kitchen should be the first stage of the design process. Once that foundation is established, the looks component will flow. Here is a look at some of the trends that have inspired the current focus on functional kitchen design. Useful kitchen must-haves. Currently, 82% of design professionals say kitchen islands are must-have items, and 72% say their clients are asking for recycling centers. 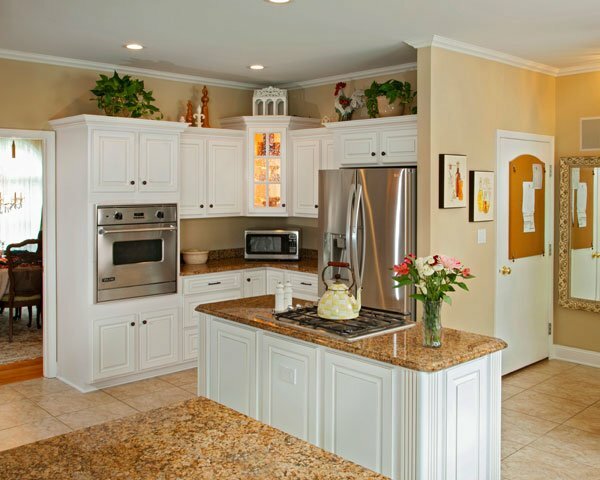 Both of these requests require a more spacious kitchen design to make room for what are often considered add-ons. The kitchen island is almost a given in today's kitchens, especially in those that are built or remodeled as part of an open floor plan. The recycling center is a relatively new concept, and one that requires savvy kitchen organization to accommodate extra bin space next to the standard trash can. The indoor-outdoor connection. The popularity of outdoor kitchens has also expanded the way we view indoor kitchens. For convenience's sake, most cooks like to have immediate access from one to the other, which may require patio or slider doors linking the two. Those who don't have the budget for a full outdoor kitchen will appreciate close proximity to their indoor fridge, food prep area and so on. Kid- and retiree-friendly designs. Both parents with children and soon-to-be empty nesters have similar needs. These include things like lower countertops and more accessible appliances, as well as more streamlined designs that are easier to keep clean and maintain. Where we used to talk about accessible or universal designs, we now try to think in terms of livable kitchen designs that make the kitchen a comfortable and easy-to-access space for those of every age or ability. Flexible kitchen layouts. If this is the first time your kitchen has been remodeled, you may find the layout doesn't serve you. We often go first in-home consultations where eager homeowners have brilliantly worked out all the unlivable kinks in their outdated kitchen - as it is now. We gently remind them that the kitchen layout is often quite flexible. Not only can we redesign a layout that works out the current kinks, we can expand and evolve it so it's more useful and accommodating than you even imagined. Feel you're stuck with the layout you have now? Check out our series covering ideas for layout-specific kitchens, including galleys, L-shaped and U-shaped kitchens. They can provide ideas for making your current layout great. Once you've established a kitchen design that takes your household's needs into the equation, it will be easier to dress it up in all of your favorite colors and finishes. Contact Kitchen Magic to get started.